Los Hervideros is the best place on the island to witness the power of the sea, where it comes into contact with the lava from Timanfaya. Playa Blanca has grown dramatically in recent years, starting as a simple fishing village, and becoming a fully fledged tourist resort. 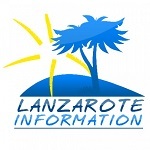 Information about being self employed in Lanzarote, explaining how to set up, how much it costs and the two different systems available.